In an exclusive being reported by THR, Tsuburaya has just tapped Jeff Gomez and his Starlight Runner Entertainment along with LA based The Licensing Group to rebrand and reboot the Ultraman franchise across multiple platforms for markets outside Japan. This is massive news for a number of reasons, but THR has a great exclusive breakdown of what this all means as well. 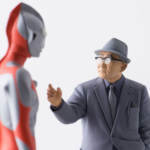 U.S. transmedia producer Starlight Runner Entertainment has been tapped by Tokyo-based Tsuburaya Productions to build out the Ultraman mythology for the digital age outside of Japan, to include a possible live action streaming TV series. The original live action Ultra Q and Ultramanseries that launched in 1966 featured a high-tech police force and their silver superhero Ultraman battling to save the Earth from invading aliens and giant monsters. As Tsuburaya looks to restore Ultraman’s profile outside Japan, Starlight Runner will team with The Licensing Group to reboot the superhero property across multiple platforms, with story-driven licensing and merchandising programs for the U.S. and international markets. The Ultraman licensing program will be supported by new content distributed on cable, streaming and SVOD platforms. “Ultraman is one of my greatest childhood heroes. We’re honored to be embarking on this mission to bring this family of characters back to the world stage,” Starlight Runner CEO Jeff Gomez said in a statement. So, how exciting is this? Seeing one of the oldest and most beloved Tokusatsu franchises in the world, stepping into the modern day in an entirely new fashion. SHare your thoughts on the subject by visiting our discussion thread on the topic, just click “Discuss on the TokuNation Forums” at the bottom of this post. First Look At New Ultraman 2018! 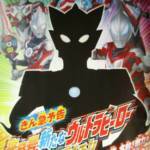 Tsuburaya Productions’ begun to tease the next Ultraman series following Ultraman Geed, and while our new hero currently remains nameless we have our first silhouetted look at this new hero thanks to a magazine that have been making the rounds online. No name for this Ultraman has been confirmed as of yet, but three names have been trademarked: Ultraman Lube, Ultraman Rosso, and Ultraman Bull. Ultraman Bright has also been thrown around, it’s also possible that Tsuburaya could be going with three main Ultramen for the next show, but nothing has been 100% confirmed as of this writing. Stay tuned, and we’ll bring you more info as it breaks. After a rousing success in international print sales, numerous S.H.Figuarts, high end 1/6 scale figures, statues, busts, & other collectibles, the last barrier left to conquer for Eeichi Shimizu’s ULTRAMAN manga is of course, for it to be adapted to anime! Good news, Converge collectors! Bandai has a double whammy reveal for us with the latest wave of Kamen Rider Converge and the very first Ultraman Converge set! Kamen Rider 8 Converge will see a release in January and will contain Blade, Blade Jack Form, Amazon Omega, New Amazon Omega, Fourze Base States, and two yet to be disclosed Kamen Rider Build related releases. Meanwhile, Ultraman Converge’s first outing will contain the original Ultraman, Geed Primitive, Tiga, Zero Beyond, Belial, and Orb Origin. This wave will be released the following month in February, both series will also contain one additional secret figure. 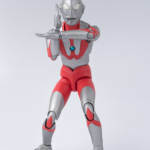 Kenelephant Brands just unveiled a unique statue for fans of Ultraman. Cast in polystone, this 1/12 Ultraman statue is referencing an old photo of Eiji Tsuburaya himself on set during the production of the original Ultraman. For those of you that own August Ragone’s book: Eiji Tsuburaya: Master of Monsters you’ll instantly recognize this piece as the cover for said book. But, this awesome piece comes with a catch: the Kenelephant Eiji Tsuburaya & Ultraman 1/12 Statue will set you back about 32,400 yen. It’ll be released in February 2018 but it seems like only 300 or so of these will be made. BigBadToyStore.com Sponsor Update – Super Mini-Pla DaiZyuJin, Legacy Movie, and More! It’s time for a sponsor update from our site sponsor BigBadToyStore.com! A number of great items, both from Bandai America as well as Bandai Japan, have been added to their pre-order list! If you’re looking for some Mighty Morphin nostalgia or some upcoming Power Rangers Movie items, check out the new stuff listed below! For some of the best customer service available online please check out our site sponsors BigBadToyStore.com! Don’t forget to use their “Pile of Loot” shipping option, saving you HUNDREDS of dollars as you create one giant order to ship at once for one low flat fee! Check out their latest newsletter by clicking “Read More”! 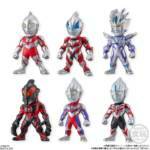 Bandai Tamashii Nations continue their line of show-accurate Ultraman S.H. Figuarts figures with the announcement of the Ultraman Type A Suit! This figure is based on the character’s appearance in the first 13 episodes of the original series, sporting a slightly leaner build, more muted red accents and an alternate show-accurate head. Currently the figure’s only known accessory is a Specium Ray effect part, likely along with a number of alternate hands. 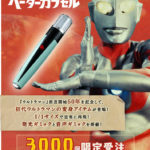 Ultraman Type A suit will be released in September, for the price of 5940 yen. Discuss on the Tokunation Forums› Views: 2978 › Credit: Bandai Tamashii Nations. For the first time ever the original giant hero makes his appearance in the S.H. Figuarts line! After years of steady Ultra-Act releases that line has now been retired with it’s characters having been folded into S.H. Figuarts beginning with this release, S.H. Figuarts Ultraman 50th Anniversary Edition! Celebrating 50 years of the Ultraman franchise, which began in earnest in 1966, this new release seeks to improve upon past flaws and open a new chapter for Ultraman figures. And does it live up to it’s expectations? Well that depends on your point of view. This figure seeks to replicate almost perfectly the design of the Ultraman suit. It’s nature as a poseable toy sort of comes second. But it’s undeniably a well made figure that should include more than enough accessories to make up for any issues you might take with it’s design. Such as the famous Baltan Ship, or the Tamashii Action Option Building sets. Just a few days ago, Bandai teased the release of high end props from the Ultraman franchise that will be coming down the pipe line, we now have official images of the first two offerings of what is now being called the Ultra Replica line, which will be released via Premium Bandai. First off, we have the Ultra Replica Beta Capsule of the first Ultraman it will be joined by Ultraman Tiga’s Spark Lens, both pieces will come with distinct display bases. Pre orders will simultaneously begin on July 8th and will ship out sometime November 2016. Both pieces will cost 7800 yen before middleman fees and over seas shipping.